two peas & the dog: found. birds. 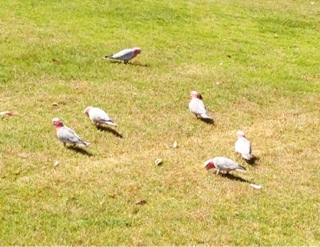 Galahs to be exact. They were out and about while Nate and I were on a run. Well, Nate was running...obviously, I was taking photos of birds.